I have to admit – I’m one of those OCD types. I will obsess over every minor detail of every little thing, especially with my cars and electronics. When it comes to modifying my cars, I’m even worse. 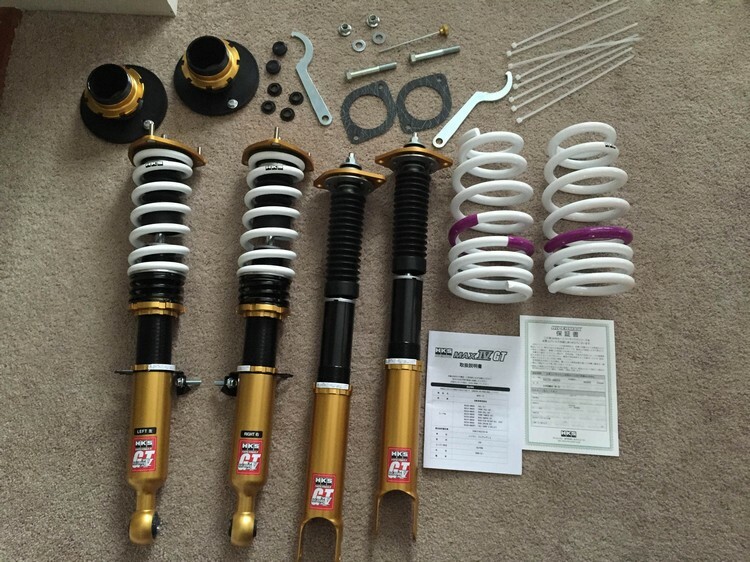 The parts have to be of high quality, fit, and finish, and they cannot upset anything regarding the use of my car, whether it be on the street or on the autocross course. I’m now 20,000 miles into my 2013 370Z (Sport + Touring), and it’s a daily driver and occasional hoonmobile (as life would have it, sadly it’s more DD than hoonmobile, but I digress). 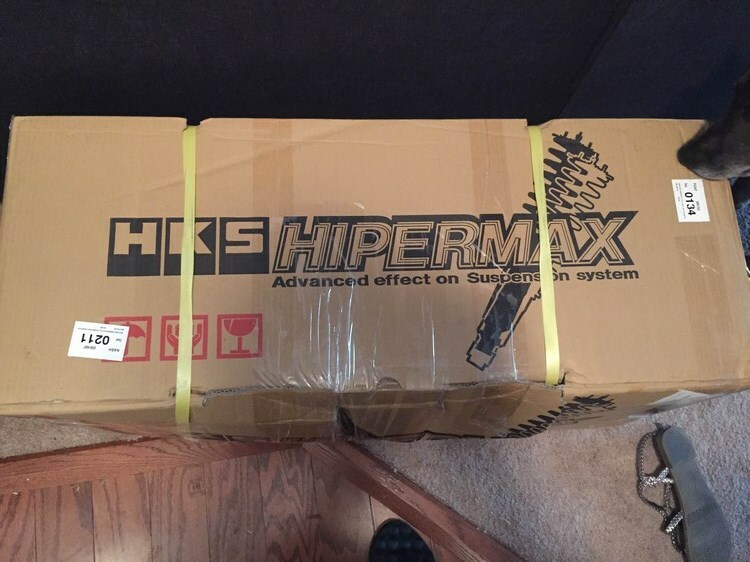 Little did HKS know that when they decided to send us here at NICOclub a set of their brand spankin’ new Hipermax IV GT coilovers that they would be subjecting themselves to the scrutiny of this self-diagnosed obsessive compulsive 370Z owner. 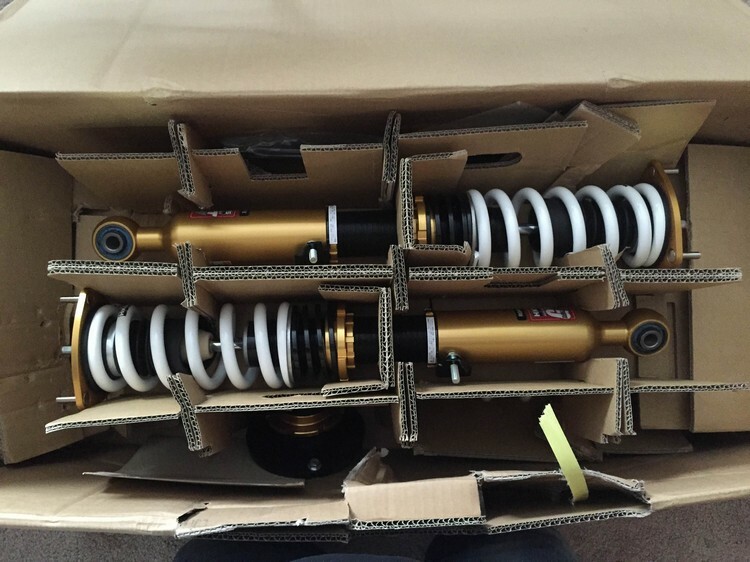 This is why I was always wary of putting a coilover setup on my car – I’m one of those weird guys. I drive my Z too much on a utilitarian basis to want to stiffen the car up to the point where it beats me up for a couple hours a day. This setup would have to be a damn near perfect for me to give it my stamp of approval. I have to retain a certain level of comfort for my morning commute to work, and I have to retain the handling qualities of the Z. According to HKS, I am their target market for the GT series, so let’s see if they hit the mark. 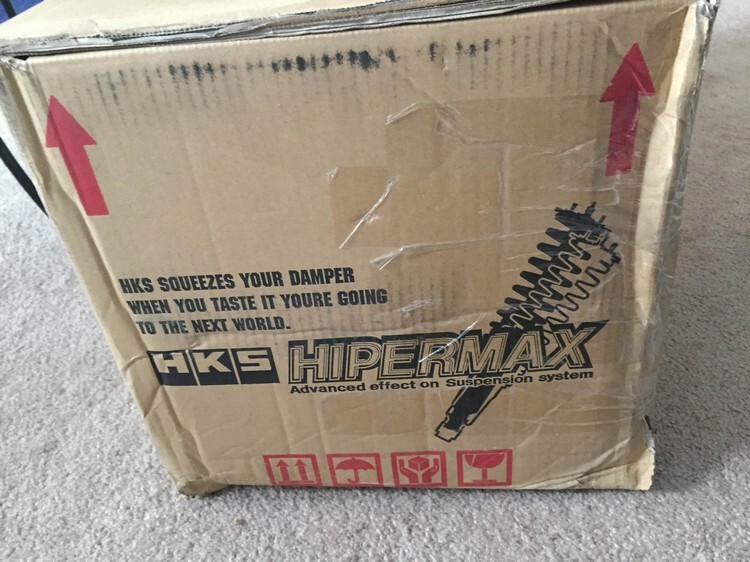 Little did HKS know, their product would be tested before it even got to my doorstep. Looks like this box made it to my house via gorilla. I’ll admit, I nearly sent them back without opening them. Fortunately, they were well-packaged. 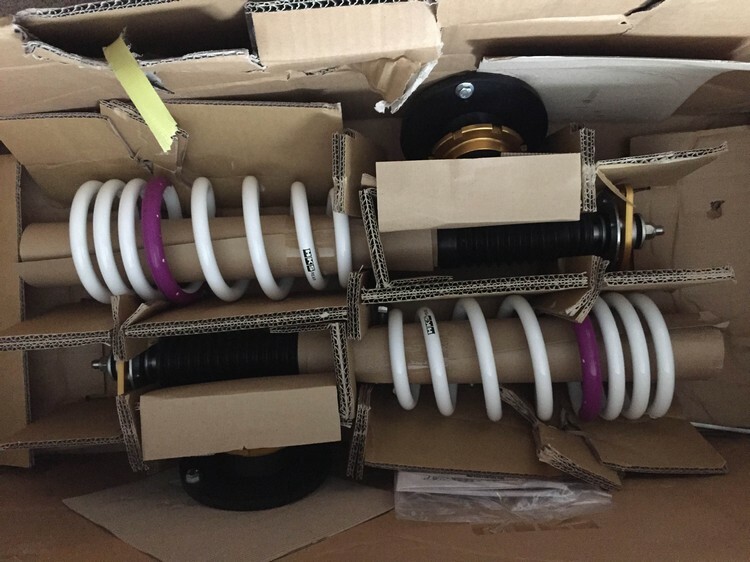 The top layer of the box contained the front suspension, and the bottom contained the rear coilovers. Further digging inside the box yielded a certificate of authenticity from HKS (a nice touch considering there are so many knockoff parts in the tuner world) as well as an instruction booklet complete with a checklist for package contents. After meticulously going through and checking each item off the list and inspecting for damage from shipping, I felt much better. Thankfully, the system was packaged well enough that it could be kicked along the interstate from some warehouse to my doorstep. It’s especially good that there was no damage, because this setup is too pretty to have dings and such. Next page: The excitement ensues – it is time to put these bad boys on the car.